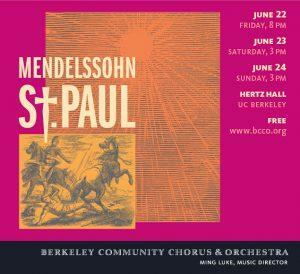 Join us for this rare opportunity to hear Mendelssohn's St. Paul Oratorio, an early masterpiece that seldom appears on programs today. Join singers from the BCCO, the Berkeley Women's Community Chorus, and more, in a performance of Street Requiem, a cantata written to evoke compassion and empathy for those who live and have died on our streets. Conducted by Derek Tam. 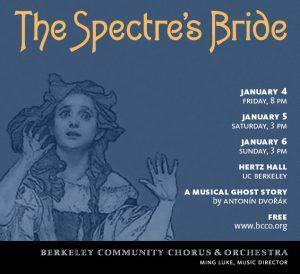 Donations collected at this performance will benefit the Berkeley Women’s Daytime Drop-in Center to support programs for homeless women and their children.